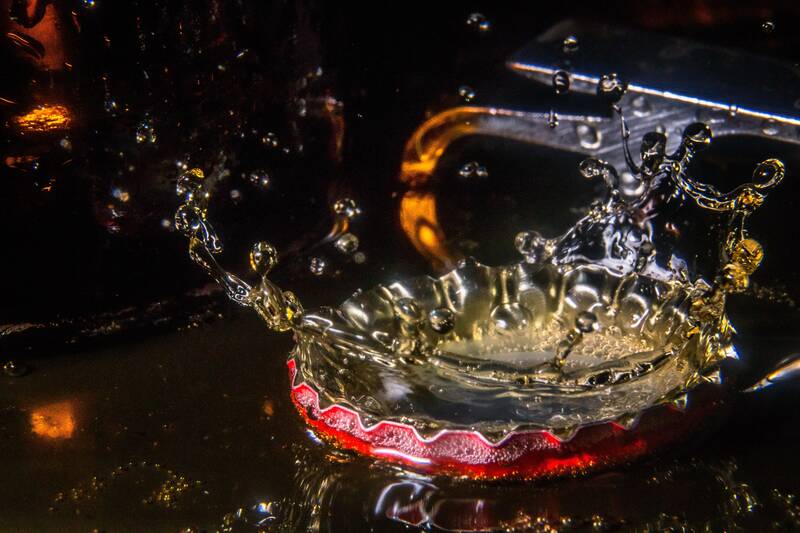 Beer dripping into a beer bottle cap. 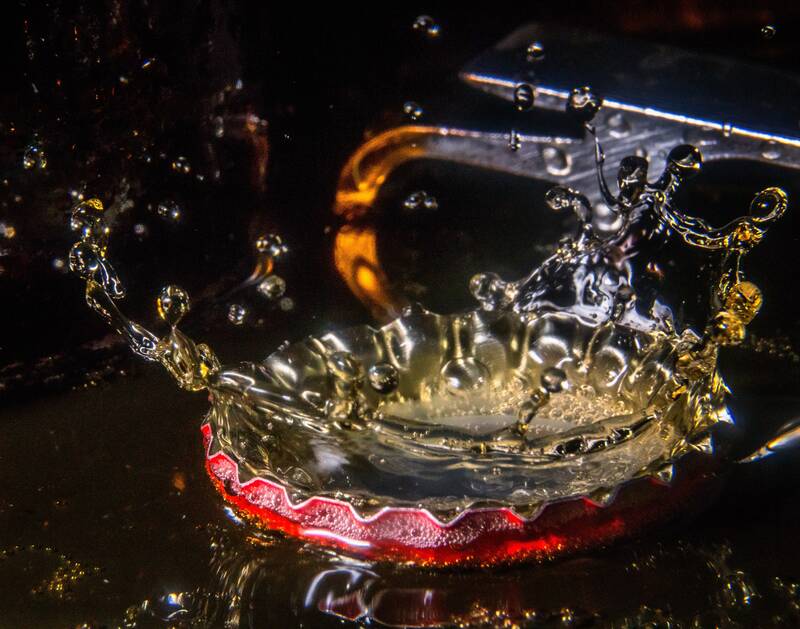 Macro photograph of a beer drop dripping into a beer cap. Fun and unique.